I gave this a try with a short video clip and it was absolutely awful !! I have been experimenting with 3D for about 30 years and I am a firm believer that it’s up to the experts to convert, if at all. It needs numbers in its adjusters. There are few low end software 2d video to 3d converters, and this is the best one yet. 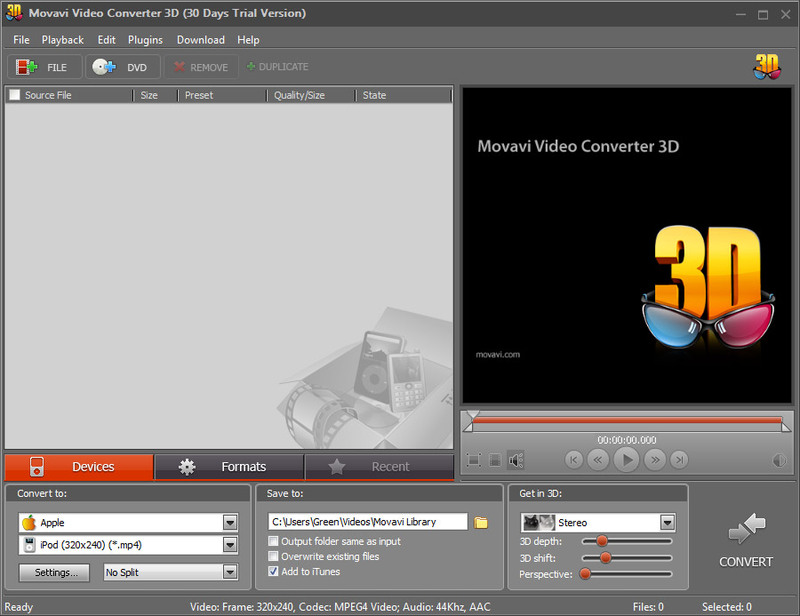 roxio videowave 2011 also does 2d to 3d coversion, but much worse. I tried this… terrible results no matter what clip I threw at it…abysmal… jumped between cross eye and parallel…even withint itself…areas that are in the foreground flip to background…how could this be considered reliable software? Rip! If you want to try something that really works,,,try PowerDvd 10. It’s not brilliant but shows good 3D effect. And in real time ! I tried it the other day and after unsuccessfully converting youtube videos, I tried a 720p video and was blown away! I immediately bought a license so I could start converting videos without the water mark. Thankfully it was on sale for $49 this weekend and i checked it an hour ago and it’s still on sale. It was supposed to expire on 02/20/10. I’ve recently upgraded to a GTX460 card and shortly after I found out about CUDA. I tell you what, CUDA is a God-send for video converting. It only takes seconds to convert a 20mb file instead of a couple minutes without (and that’s with a Q9300 overclocked to 3.08mhz and 8gb of ram). Just imagine how much faster it would be if you had the new i5/i7 2010 chip. Click my name above or this link below to check out my 3D video examples I made with Movavi. Hey, bishop, your videos are amazing, what setup do to you use with movavi to get such 3d effects? I’d like to advice 3d video player. It’s free and fast. I just got a mail from them. I take back my comments that they dont have support.